You have to ensure our charity “Dance Hearts” is your selected charity. Click Here to ensure Dance Hearts is your charity of choice. 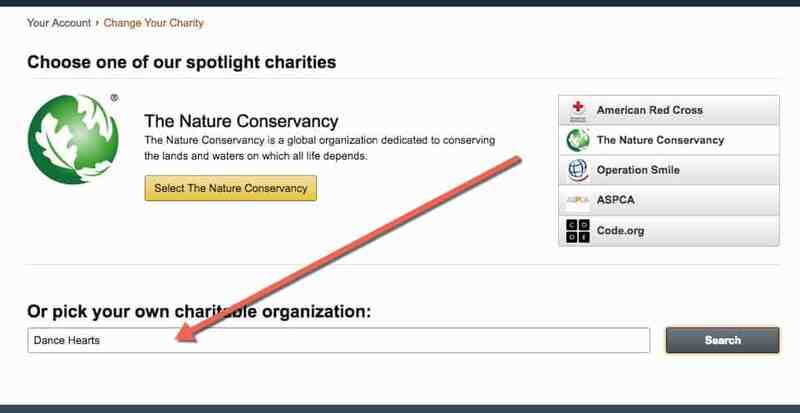 If you need to manually change your charity, follow these steps.